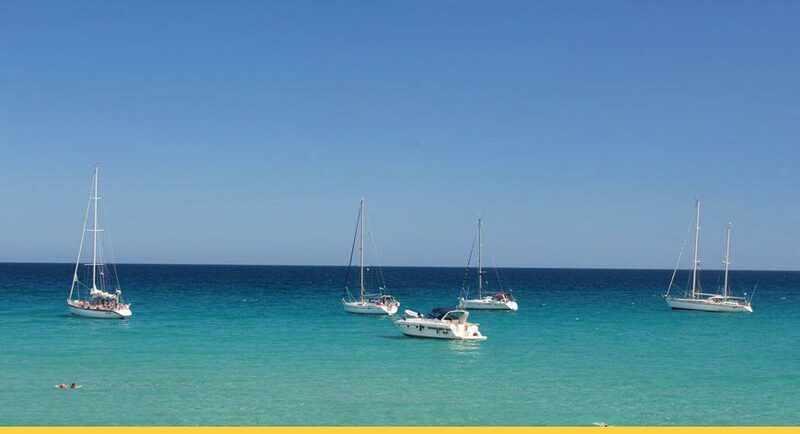 Whether you are an avid boater, kayaker, runner, biker, tennis player, golfer, swimmer or if you enjoy any other type of recreational activity — Longboat Key offers them all. Below are just a few places for you to take advantage of the recreation-friendly amenities the Key offers. 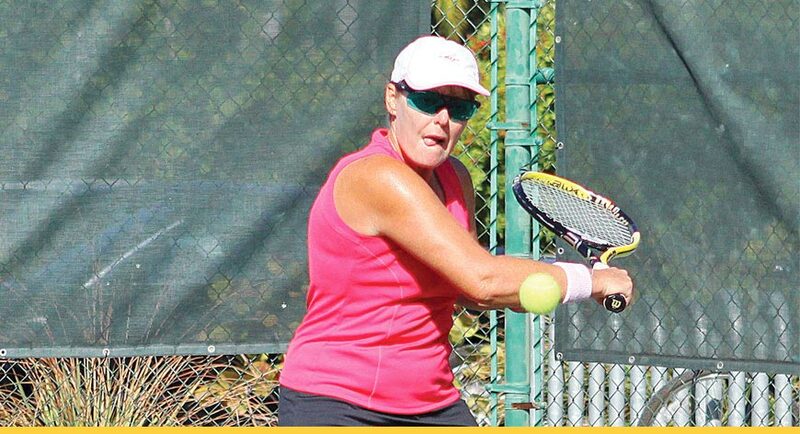 The Longboat Key Public Tennis Center opened in 1998 and now, with its 10 soft clay courts, daily organized events and teaching professionals on staff, getting in a few matches of tennis is never hard to do. The Tennis Center’s 1,750-square-foot pro shop and players observation deck (completed in December 2009) is sure to be a treat for any tennis player. The center also hosts two USTA-sanctioned tournaments each year, along with a variety of other tennis events. There are also tennis leagues to join, as well as round-robins every afternoon. The Public Tennis Center currently has more than 400 members. The Resort at Longboat Key Club offers beautiful facilities for both tennis and golf enthusiasts. The Key Club’s Tennis Gardens, completed in March 2009, boasts 20 HarTru courts and has received rave reviews, not only from Longboaters, but also from the USTA, which honored the resort with its 2009 Outstanding Facility Award. The Tennis Gardens also includes a clubhouse, pro shop, locker room, players patio, a HydroGrid irrigation system as well as the Court 21 Café & Lounge that includes terrace seating. The Tennis Gardens also offers clinics and private lessons and group events. For membership information, call the Key Club at 941-383-8821. For those who enjoy playing the links, the Key Club offers 45 holes of championship golf with two beautiful courses — Islandside and Harbourside. The Islandside course is an 18-hole, links-style course that borders the Gulf of Mexico. 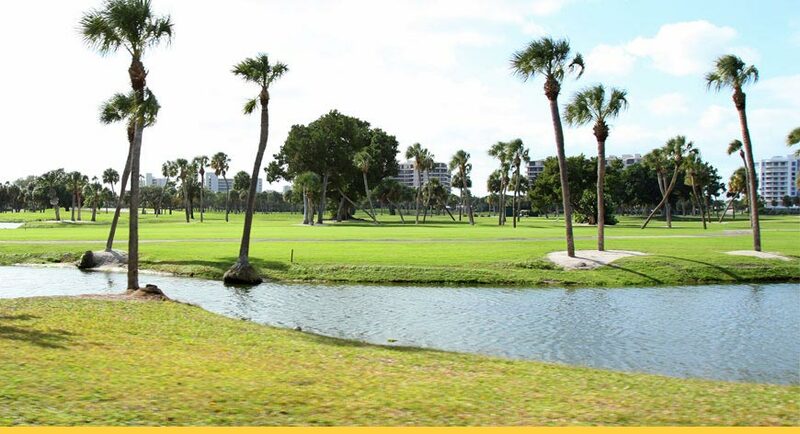 Harbourside offers three nine-hole courses surrounded by beautiful trees and bordering Sarasota Bay. No matter which course of play you choose, the beautiful views and warm weather are sure to add a special touch to your game. To set up a tee time, call the Pro Shop two days in advance at 941-387-1632. More than 30,000 people on average have attended the Sarasota Open tennis tournament each year held at the Longboat Key Club and resort’s Tennis Gardens. The waters surrounding Longboat Key provide novice and expert anglers an entrée to diverse species of fish. Sheepshead, sailfish, flounder, snook, redfish and tarpon are just a few of the species that make the area an angler’s paradise. When fishing local waters, tailor your tackle to the species you are seeking. The best outfit for the area’s inshore waters is a matched 8- to 10-pound spinning or bait-casting rod and reel. 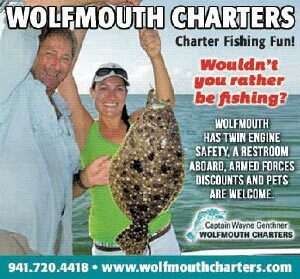 In most offshore situations, a 20- to 30-pound outfit will suffice. When fishing offshore or inshore waters, artificial lures are effective and easy to use. Best bets include jigs, spoons and plugs. If you prefer live bait, shrimp are effective — numerous bait shops and marinas sell them. If you’re a bit more resourceful you can net your own baitfish from the beach or grass flats that border the island. Rig light and avoid heavy lead sinkers that adversely affect the action of lures or live bait. Fly fishing is gaining popularity and is effective on all saltwater species. The extensive grass flats that surround the island are a magnet for game fish and a good place to concentrate your efforts. Explore the deeper edges of the flats and the sand holes that dot them. Wade the shallow grass for a stealthy approach to redfish, snook and speckled sea trout. Explore Longboat Pass and New Pass, which hold concentrations of fish around the bridges, rock jetties and points. Anglers fishing from the bridges have access to a wide variety of fish, including pompano, bluefish, sheepshead, mangrove snapper and snook. One of the best and easiest places to fish is the beach, itself. Concentrate your efforts right in the surf line and the slue that parallel most of the beach. Snook, whiting, flounder, ladyfish, pompano and Jack cravelle are a few of the fish you’ll find cruising the surf. A small white lead-headed jig or a chartreuse-and-white fly will mimic resident baitfish. When the sun is high and the water is calm, wear polarized sunglasses and look for snook cruising right next to the beach. Anglers with a boat will find tarpon schooling just off the beaches during May, June and July. Within sight of the beach you can also find schools of Spanish mackerel, bonito, king mackerel and cobia. Further offshore the artificial reefs, ledges and hard bottom hold grouper, snapper, barracuda and other bottom dwellers. Also keep an eye out for surface action, including baitfish schools, diving birds or striking fish. During the spring and summer dolphin, sailfish, tuna, wahoo and marlin inhabit the deeper Gulf waters. One of the best ways to learn the local waters is to hire a fishing guide. 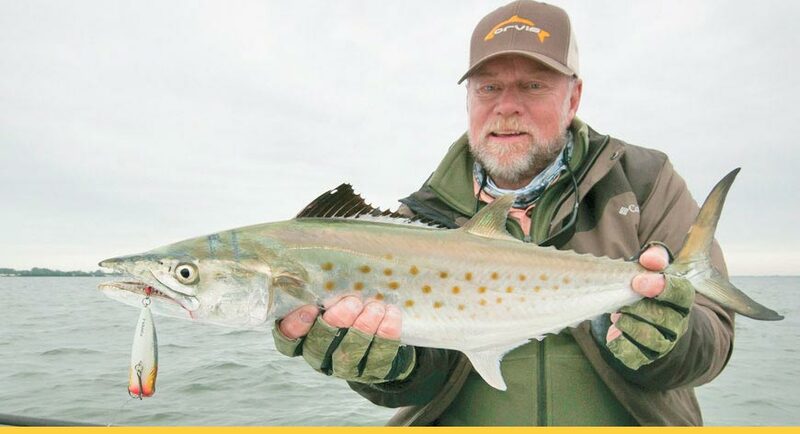 Guides are on the water daily, know the seasonal patterns and provide anglers with the basics of effective tackle and techniques. Whether you decide to head out in a boat, fish from a bridge or just walk down the beach, make sure you don’t miss out on the lure of Longboat Key’s fabulous fishing. The waters that encircle Longboat Key frame the island, its eastern flank a tapestry of islands and mangrove shorelines carpeted with verdant grass flats. To the west, the azure waters of the Gulf of Mexico bathe white sand beaches for more than 10 miles. Mariners with a sense of adventure and a willingness to explore the bay, Gulf and canals that intersect the island can unlock Longboat’s unique nautical charm. All four seasons provide excellent opportunities to discover its unique habitats. 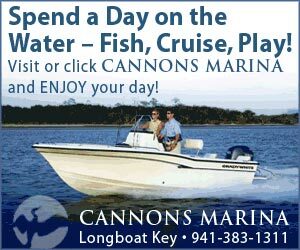 Cannons Marina on the north end of Longboat Key can provide you with all your nautical needs for an outing on the water. Located on Sleepy Lagoon (marker 32 and 33 on the Intracoastal Waterway), the marina boasts a full selection of charts, tackle, rental boats, motors and bait. After stocking up for a day’s outing, it is only a short trip to the Intracoastal Waterway and Sarasota Bay. The Town of Longboat Key purchased and protected the Sister Keys, located just off the north end of the Key, in 1992. In 2007, Sister Keys underwent a mitigation that removed all invasive species. Indigenous vegetation was then planted, and more than two acres of wetlands were created. Dolphins, ospreys, gopher tortoises, manatees, pelicans and raccoons are just some of the wildlife that you might see as you pass the keys in the Intracoastal Waterway. For a more intimate experience, visitors can kayak or paddleboard the islands’ shallow grass flats into the heart of this unique natural refuge. A short ride to the north brings you to an idyllic anchorage and dock access to the Mar Vista Restaurant and Pub and Moore’s Stone Crab Restaurant. Nestled on the water in the Village, both establishments provide great food and a panoramic view of the bay. A bit further north and west and you’re at Longboat Pass, one of the most beautiful settings on Florida’s west coast. Round the corner to the Gulfside of the island and, on a calm day, you can enjoy scenic views of the Key’s prime real estate — stop for a swim and savor a firsthand view of Longboat’s beautiful beaches. At the southern end of the Key you’ll arrive at New Pass and the southern entrance to Sarasota Bay. Don’t miss the rustic ambience of the New Pass Grill and Bait Shop Restaurant before rounding the island into Zwick’s Channel, where the Dry Dock Restaurant offers dockage and mouthwatering meals with a view of Sarasota’s expanding skyline. Traveling along the bayside of the island, head west at marker 1 into Buttonwood Harbor. Whale Key lies just to the south, while flats to the north border the Town Islands and are an excellent location for bird watching. Pattigeorge’s restaurant is boater friendly and is easily accessed in Buttonwood Harbor. It is the perfect spot for an early-evening dinner. After leaving Buttonwood Harbor, it’s only a short trip back to our starting point on north Longboat Key. It makes sense to study a chart of the local waters before venturing out. If you should stray from the channel by mistake, be sure not to damage the seagrass beds. If you find yourself in a grass bed, tilt your motor and push, pole or paddle into deeper water. To really experience Longboat Key’s natural assets, leave the shore and explore the beautiful and bountiful waters that surround our sub-tropical paradise. Whether by sailboat, powerboat, kayak or paddleboard, you’ll get a firsthand view of the real Longboat Key. The beaches of Longboat from Longboat Pass to New Pass host some of the best bird watching in Florida. On the northern tip of the island you’ll find Greer Island (although it is not an actual island), known locally as “Beer Can Island.” Part of the Great Florida Birding and Wildlife Trail, Greer Island can be accessed from public parking at the west end of Broadway Street and the west end of Northshore Drive. The tip of the island is eroding and appears to only be accessible at low tide, but there is a trail through the mangroves where visitors can walk all the way to the Longboat Pass Bridge. There are downed Australian pines here that make for some dramatic backdrops for photographers, but the birds can be found inhabiting the beach line, from the tip of the island south for almost two miles. Some of the largest concentrations of birds will be found from the Broadway access south. American oystercatchers, black skimmers, red knots, black-bellied plovers and willets can be found here all winter long, sometimes in large congregations. Ruddy turnstones and sanderlings are year-round residents. Snowy and Wilson’s plovers comb the wrackline (debris left on the beach by high tide), and occasional winter visitors include northern gannets, piping plovers, whimbrels and marbled godwits. Beachgoers are also encouraged to keep an eye to the sky, where they may see magnificent frigatebirds, ospreys, brown pelicans and, occasionally, an American bald eagle. Birders can also expect to see a range of terns and all the typical gulls. A few of the terns include royal terns, common terns, Caspian terns, Forster’s terns and sandwich terns. Snowy egrets and great blue herons like to perch on the wave-polished dead trees that line the shore. 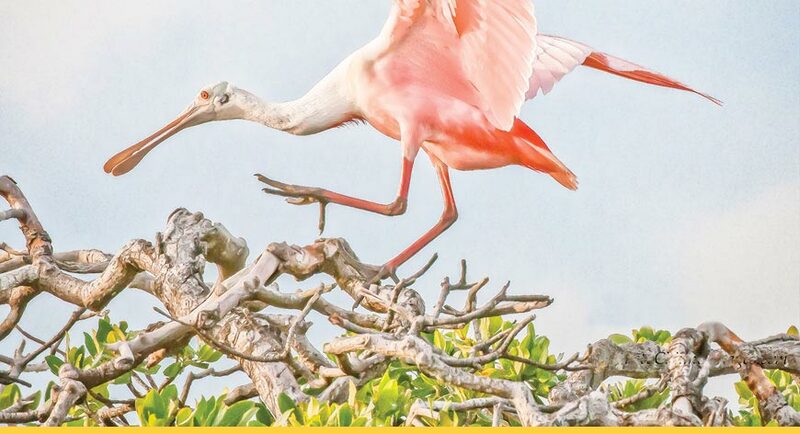 The bayside of the island has several top birding spots where enthusiasts can view wading birds such as the roseate spoonbill, reddish egret, tri-colored heron, little blue heron and wood stork. A sure sign that winter visitors are present is the arrival of the majestic white pelicans that line the bay during the winter months. You’ll find great viewing opportunities for pelicans and wading birds on the bayside of Greer Island, the Longbeach Village, Joan Durante Park and the Quick Point Nature Preserve to the south on New Pass. Both Durante and Quick Point have extensive nature trails with inland canals and bayfront grass flats. Boaters will find Sarasota Bay rich with grass flats that can host thousands of birds on a low tide. One of the gems of Longboat Key is the Sister Keys, a group of islands that were protected from development in 1992 and benefited from a $1 million-plus mitigation project beginning in 2007. The indigenous flora and created wetlands have been a boon for local wildlife. Whether you’re a veteran birdwatcher, a photographer or just enjoy Florida’s coastal beauty, you’ll find Longboat Key’s rich and abundant bird life a feast for the senses. This 84-acre park truly has something for everyone. Its amenities include three boat ramps, fishing piers, a playground, a recreation area and benches and picnic tables for those who want to enjoy the unrivaled view of the Sarasota skyline. The park is home to the Sarasota Sailing Squadron, which was established in the late 1930s and now is home to 800 member families who take advantage of the organization’s many sailing programs; Save Our Seabirds, a nonprofit facility devoted to caring for and treating ailments of the island’s many varieties of birds; and Mote Marine Laboratory & Aquarium, founded in 1955, which is home to a massive aquarium featuring dolphins, manatees, sea turtles, seahorses and more, along with interactive exhibits such as a stingray petting area, classes and educational opportunities and excursions such as Eco-Boat tours around the bay. Quick Point, originally called The Hook, encompasses 34 acres on the island’s south end. The Town of Longboat Key acquired the land in 1985 from Arvida Corp., which developed much of the Key in the 1970s and 1980s. The preserve offers paths that wind around lagoons, mangroves and other native plant species and even features an osprey nesting pole. Florida’s natural beauty has been preserved in this tranquil setting. Nestled near Longboat Key Town Hall sits a one-acre park that is known as a place to refresh and reflect. The partly shaded park, dedicated to the town July 4, 1976, sits just off the bike path and offers active persons a place to pause with benches beneath a canopy of trees and a relaxing view of the butterfly garden created by the Longboat Key Garden Club. The park is recognized as a Florida Model Garden by the state for its low maintenance and eco-friendliness. The Bayfront Park Recreation Center is currently home to a large rec center that houses not only fitness classes and bridge games but serves as a community gathering spot. Behind the main building lies a baseball field, tennis courts and even a basketball court and shuffleboard court. This 32-acre park is certainly a rarity on the Key. 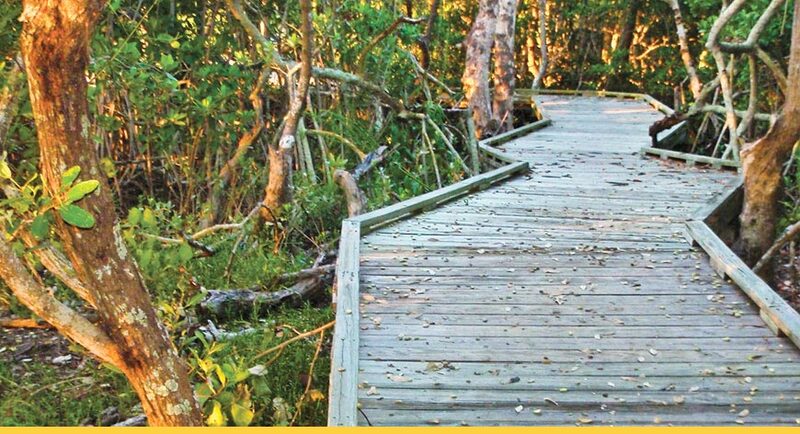 One of the few remaining vacant properties on the island, it is the result of a private/public partnership to restore the land as a viable wetland and coastal hammock forest. Key resident James Durante established the park in 1993 in honor of his late wife. The town of Longboat Key maintains the park’s lush vegetation year-round, and the property includes a pavilion, children’s playground, a lake and bicycle and boardwalk paths around the entire property. North Lido Beach Park is a good spot for swimming and fishing and also features nature trails. The natural beach and dune system make it a popular place for birdwatching. The park is also an important sea turtle nesting site. Tucked away at the end of Benjamin Franklin Drive, South Lido Park is a go-to spot for nature enthusiasts. The 100-acre park offers a panoramic view of downtown Sarasota and the Gulf of Mexico. Its amenities include a picnic area, canoe and kayak launch, fishing, jogging/walking trails, a playground, observation tower and decks and more.